In Normandy, the two friends soon encounter the seemingly unflappable Lucy. Scarlet and Ellie are in awe of her courage and competence, but the experienced nurse is well aware of the dangers of the job they've chosen - and even she is terrified they won't make it home alive. 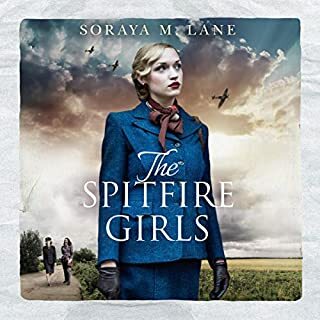 Pushed to their limits by the brutality of a world at war, Scarlet, Ellie and Lucy will need to rely on each other - and the power of their friendship - to survive. 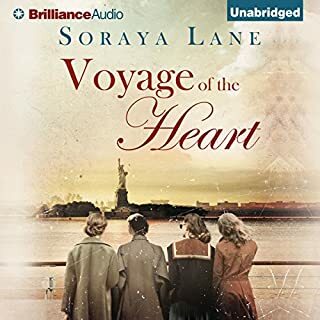 ©2017 Soraya Lane (P)2017 Brilliance Publishing, Inc., all rights reserved. I was disappointed because I could guess every plot line in advance. Also some parts were quite drawn out and I kept wishing for the story to move forward. The narrator was poor. I have listened to other books she has read and I didn't enjoy them either. Sadly, a poor narrator is a detriment to a decent book. This happened in this case. Also, this entire book was predictable. There was no real angst and, given the war setting, there should have been a lot. The end of each nurse's story was way too clean - if that's the right term. How did Scarlet ever find Thomas and meet James in the combat theater? Unbelievable! 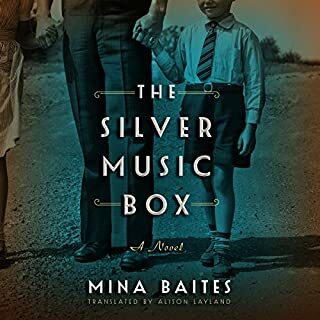 All that being said, I enjoyed this as an interesting WWII story. I have a soft spot for military nurses as my mother served in WWII as a Navy nurse. If one just enjoys the story it's quite interesting. Could not get past the narrator, had to return the book because of the way it was read. Narrator: The narrator's voice starts out okay. I love a good British accent, but it starts to grate with weird pauses between what someone says and "she said" or "he said" with an odd lilt to her voice. Story: I really wanted to like this and I've enjoyed similar storylines previously. Overall it was okay and interesting 3 storylines woven into one, but I struggled to push through the middle as it drug on a bit. The characters are complex yet fun. I really enjoyed the different chapters from the different perspectives. I feel like this book could become a classic. Once I started the book, I didn’t want to stop! This book will make you smile, laugh, worry, cry, etc. Soooo many emotions. An amazing read!! A Must Read! fun and emotional read. highly recommend if you enjoy historical fiction.. one with love and romance. At first the details were so garlic Thai thought I would stop listening. However, the characters drew me into the story.A very good book! great story and great reading. I really enjoyed this book. The reader had an authentic sounding English accent which added to the positive flavor of the work. 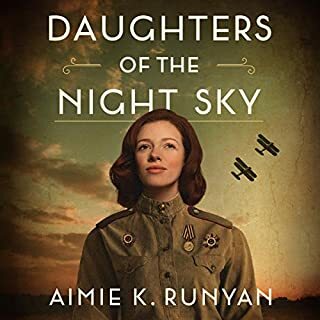 I like the story - I got the audio free with my Kindle Unlimited version of the book, so I listened to some of it. 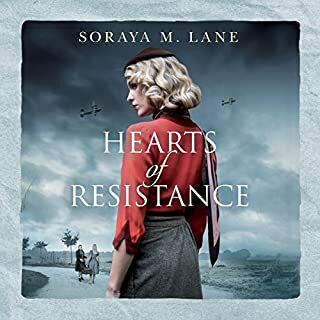 The story is quite good, I'm not far into it but will keep going as I enjoyed Hearts of Resistance and am hoping this book by the same author is as good. The audio voice though is terrible - whilst narrating she sounds bored and stilted and the Irish accent is just plain annoying! I won't be listening to any more of that!! The narrator sounded like a computer. Dreadful. Gave up in the first chapter. Shame as I’m sure would have been a lovely story. Dreadful narration, ruined a good book! How on earth was Heather Wilds given the job of narrator? Her boring monotonous voice was painful to listen to. I couldn't even mange to get to the end of the first chapter. My computer speaks more "human" than this woman! Does she not understand that there should be a pause at the end of each sentance? This has got to be THE WORST NARRATED BOOK I have ever listened to.......and I've heard some dredful ones in the past but Heather Wilds goes to the top of my list of narrators who I never want to hear again......Absolutely dreadful! 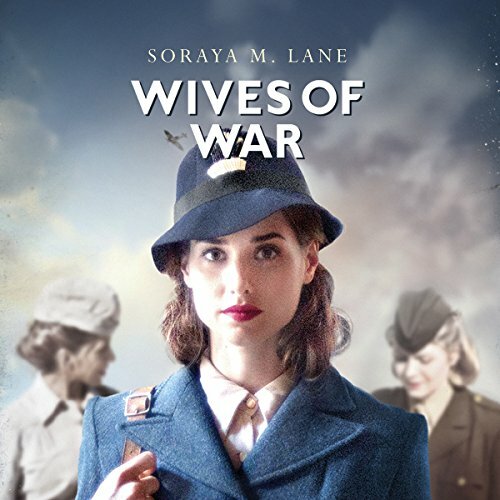 What did you like most about Wives of War? The story line was nothing out of the ordinary but flowed well. The narrator had a deathly boring monotonous voice...it would have been better to have read the book. Quite a nice story but found the narrator annoying. She sounded like a computer. Hardly any expression in her voice. I think it would have been better to have read it. Not very gripping, to wishy washy. It didn't have enough storylines to keep you hanging on. This is a very nicely written but predictable story, primarily focused on the romantic lives of the characters. A nice holiday read but shallow.